What happened to the walking historian? Lately I did not often go for a walk. During springtime I made several long walks, and I promised to keep a story about one of these walks in stock. In February Janjaap Luijt published a short note ‘De leeuwenpaal: grensconflicten tussen Utrecht en Holland’ (The lion’s post: boundary conflicts between Utrecht and Holland) in the journal Oud-Utrecht 81 (2010) 10-11, the first of a series of short articles on boundary-posts in this journal of the historical society for Utrecht Oud-Utrecht. On the cover of this issue two men pose in historical costumes in front of one of the old boundary-post discussed by Luijt. I would like to add some information to Luijt’s article which clearly was meant to introduce the subject and to point to the present situation of these objects. Luijt sketches their history. 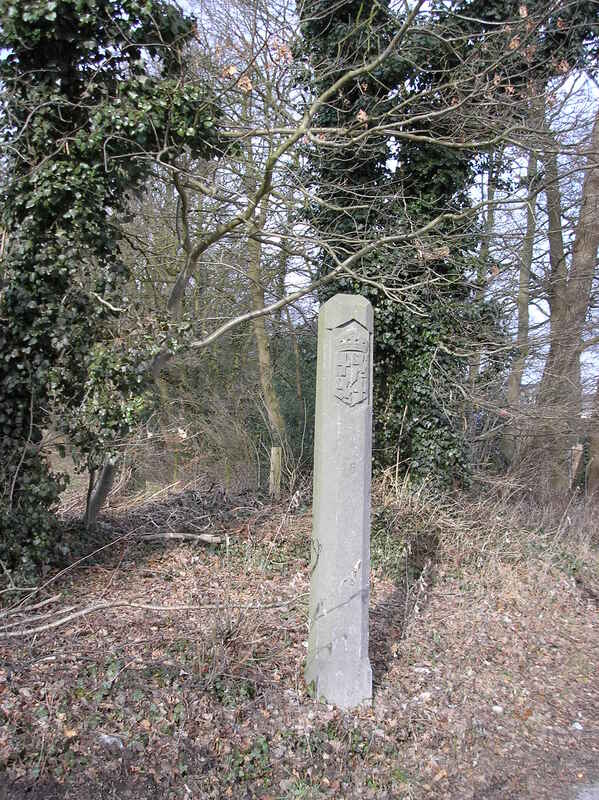 The sixteenth-century posts were renewed in 1719, and eight of them again in 1925. Luijt mentions the 1531 peace treaty on the boundary between Utrecht and Holland. The Great Council of Malines also had to give judgment about the exact boundary. J.M.I. 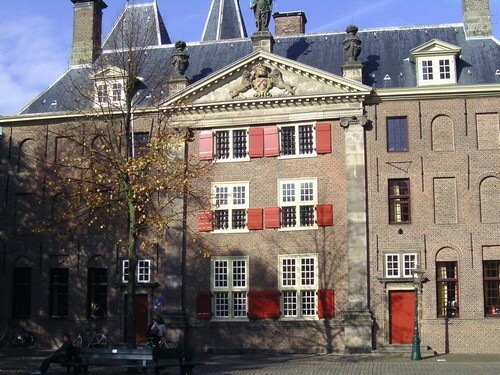 Koster-van Dijk published Gooilanders voor de Grote Raad 1470-1572 (Amsterdam 1979) in which she dealt with all cases brought before this court concerning the Gooiland, the most eastern part of the medieval county of Holland. Many historians have written about Gooiland. On May 21, 1541 the Great Council pronounced an important verdict on the disputed boundary between Utrecht and Holland. The boundary-post on the picture I took in early spring is situated at the Hollandsche Rading, a field name which literally means “The boundary of Holland”, a straight line in the landscape, nowadays part of the border between the provinces of Utrecht and North-Holland. The forest in the background is called Einde Gooi, “The End of Gooi”. A team lead by Thom de Smidt and the late Jan van Rompaey published six volumes with calendars of the verdicts given by the Great Council of Malines between 1465 and 1581. In the fourth volume of the Chronologische lijsten van de geëxtendeerde sententiën (…) Grote Raad van Mechelen (Brussels 1985) it is indicated at no. 11 that several dossiers of one of the highest courts of the Low Countries refer to the 1541 case. The Werkgroep Grote Raad van Mechelen, the team of legal historians that has done so much to enlarge knowledge about the Great Council of Malines, published several books on cities, regions and even one on a country and their cases decided at Malines, for Haarlem, Amsterdam, Leiden, Gooiland, Delfland – the region around Delft – and Portugal. Checking the inventories of archival collections at Het Utrechts Archief made it clear that one could harvest also a nice number of cases concerning the city and diocese of Utrecht. Due to the renovation of the main Utrecht archive building it will not be easy to do research on the history of Utrecht in the near future. As always, some sensible planning and patience will help more than complaining about this situation. For this posting on boundary-posts it is clear how the presence of these historical objects can make one curious to know more about the history to which they refer. This entry was posted in General, Landscapes and tagged Archives, Great Council of Malines, Holland, Legal history, Utrecht on November 23, 2010 by rechtsgeschiedenis.